Is it just me or did this week just seriously draaaag! It’s the WORST! Things are looking up though, because the weekend is here and hopefully you’re going to mingle with some friends and family! (Or just spend the entire weekend inside, catching up on The Walking Dead and eating mini Cadbury Eggs…not that I know anyone that does that or anything). I really appreciate the little things and unexpected details at a gathering and the DIY cactus and chalk place cards that I am sharing today will really up the cuteness factor on your next tablescape. 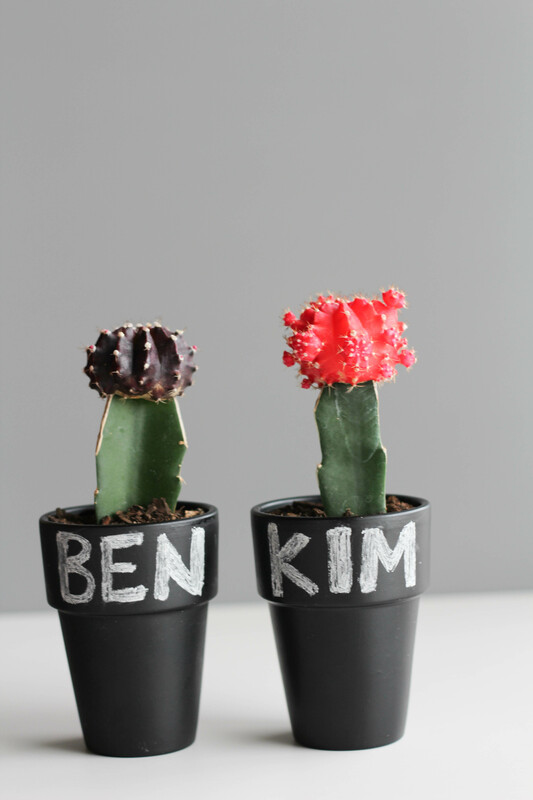 These little guys also double as favors too, which is killer! I love when you can get double duty out of a party detail and have one less thing to worry about! Another plus…? 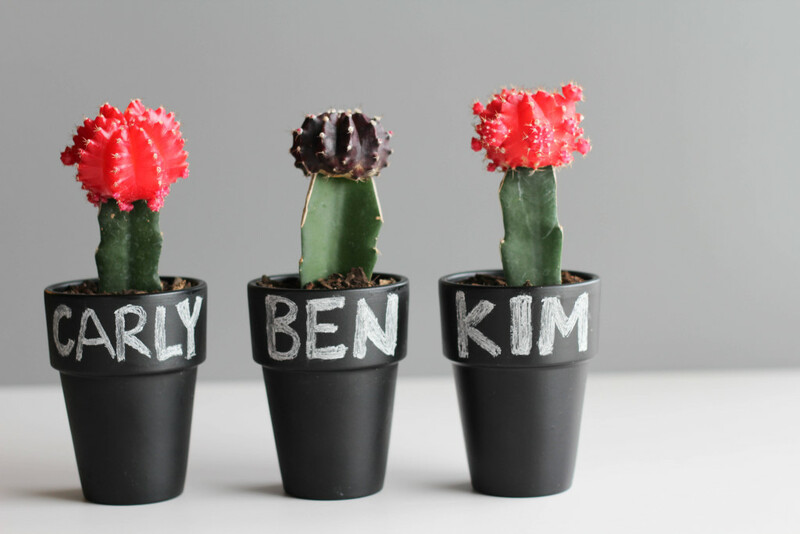 These place card pots add to the look and color of your table, so you can choose a simpler centerpiece instead of going all out. 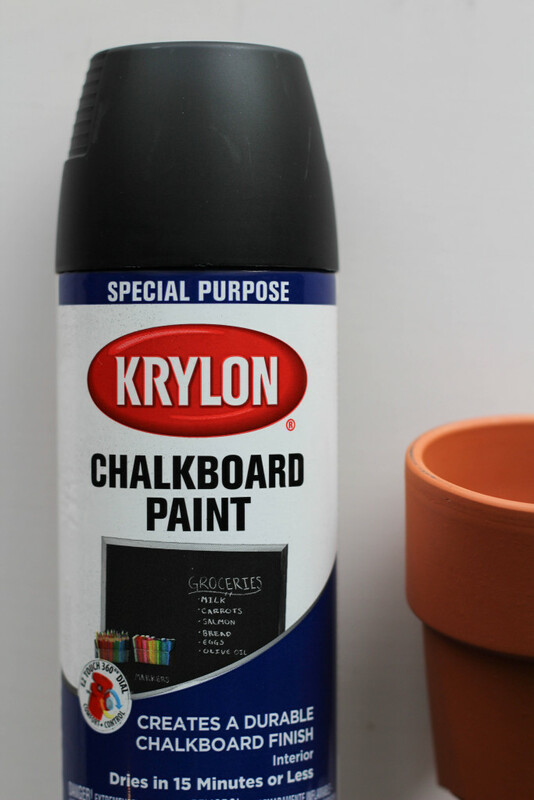 First, spray your pots with the chalkboard spray paint. You’ll need to apply two coats for the chalk to adhere properly. Let each coat dry completely in between each application. Once the paint has dried, plant your cactus into the pots. I like to put a pebble into the bottom of my pots, over the drainage hole. I just found these pebbles outside in my flowers beds. 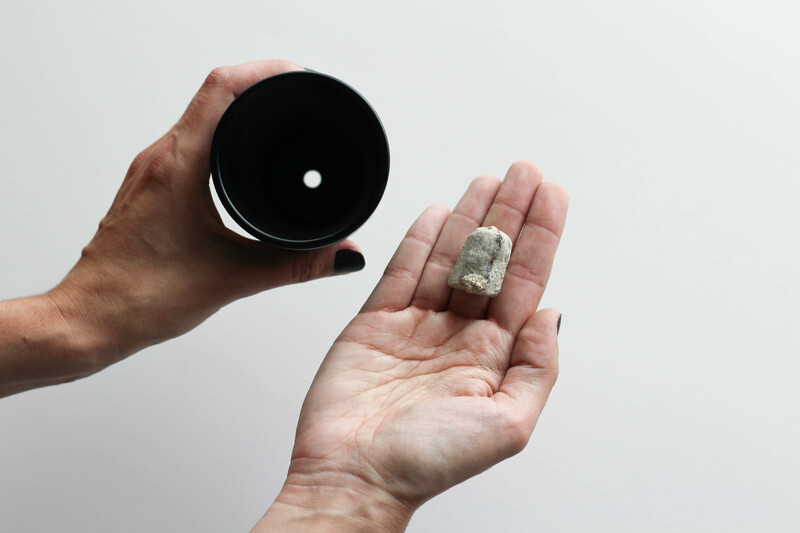 The pebbles helps to prevent all of the lose dirt from running out of the bottom of your pot every time you water them! 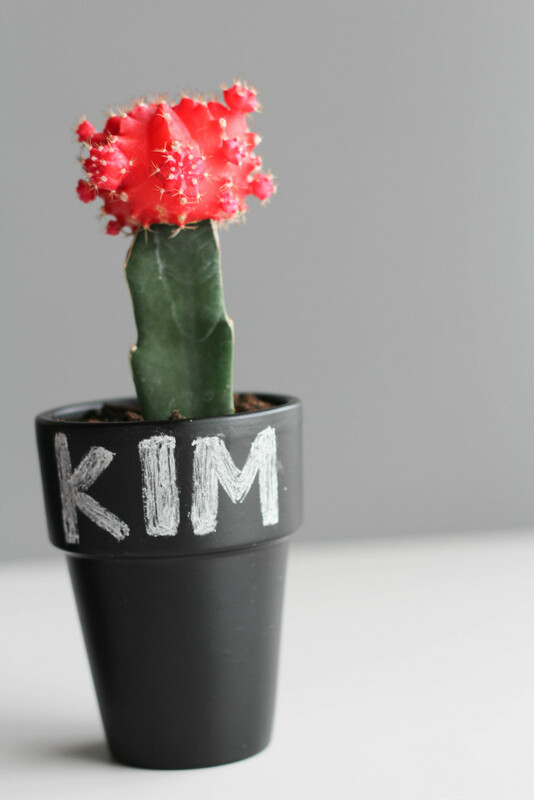 Using chalk, pick a spot on your pot that you want to display each guest’s name and draw them on. If you are talented in the calligraphy department, which I am NOT, you could glam them up a bit too. 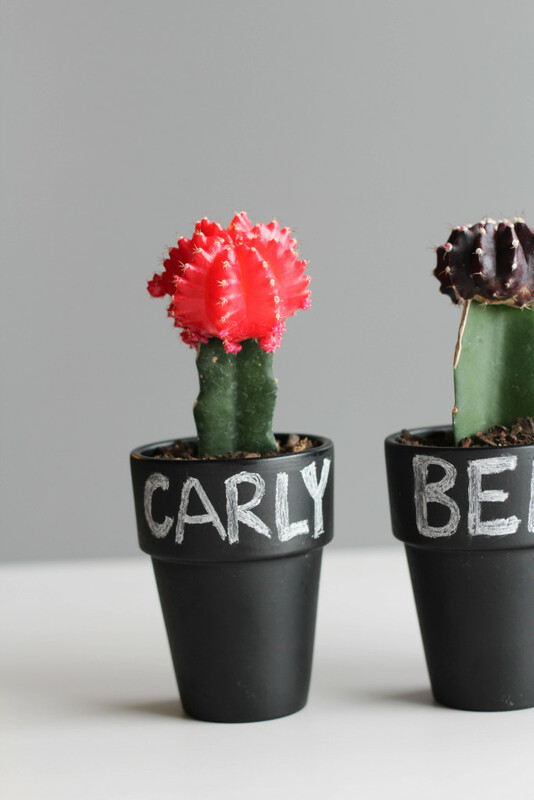 Set them at each place setting and you’re all done! 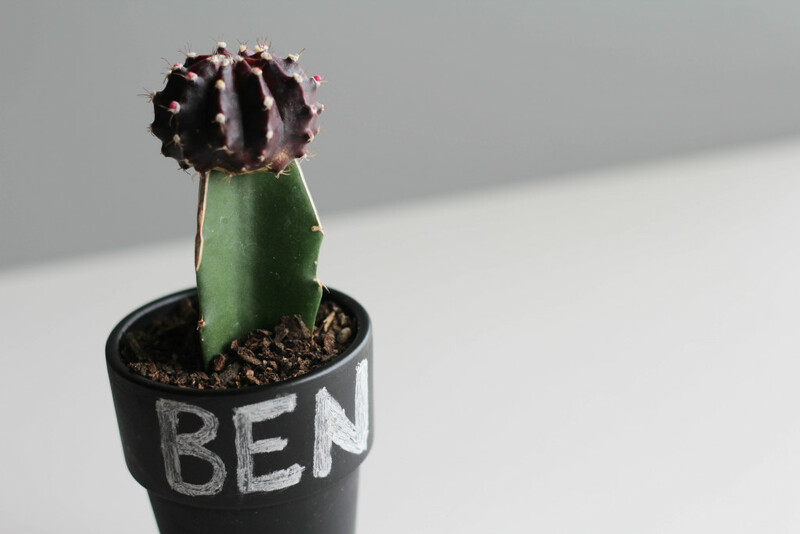 They are really easy to do and guests can take theirs home after your event is over as a favor! They are really easy to make! You should definitely try it out! Let me know if you do!